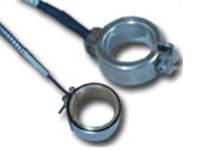 Our Leaf proof Nozzle Band Heaters are made using high grade raw material to ensure durability and high performance. Our team provides customization options to meet the varied requirement of our valued clients. These are offered at industry leading prices. Insulation – high grade mineral insulation.